Whether you’re commuting to Venice or cruising down the roads of Bradenton, you can count on the technology of the Honda Civic to provide an entertaining, enjoyable, and safe ride. Take a look at some of the features below before you decide whether the Honda CIvic is right for you. To keep things more convenient, you can also make use of wireless charging and USB connectivity. There is an accessory wireless charging mat so that you and your passengers don’t have to worry about being disconnected on your drive. 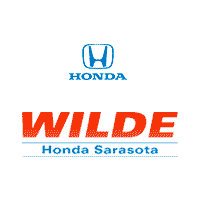 With a friendly staff dedicated to customer satisfaction, Wilde Honda Sarasota offers flexible leasing and financing options for the Android Auto and Apple CarPlay-connected Honda Civic. So contact us today to schedule a test drive, and soon enough you’ll be on the roads of Sarasota and beyond in your very own Honda Civic. Still undecided? Compare the Civic vs. the Accord when you visit!